The Seasons final Race is upon us , the points areTIGHT….. the SORRA cup is waiting for you to put your name on it….Bragging rights are waiting to be had . … Its RACE time !!!! 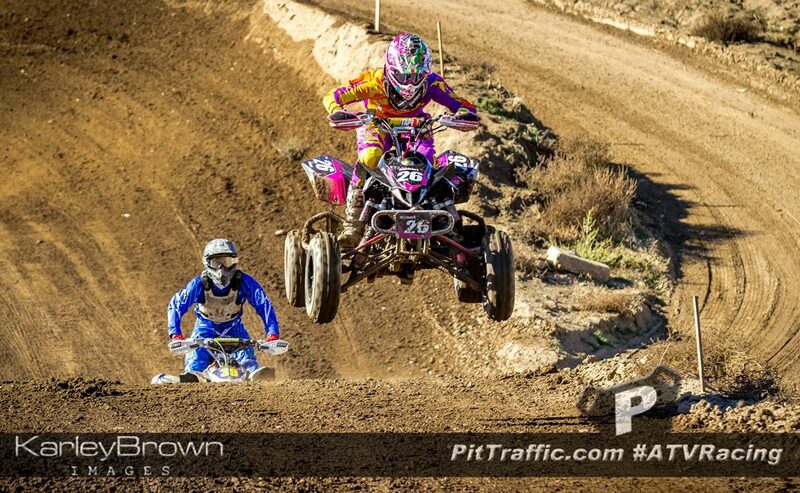 Come see your favorite racers and friends compete , hang out and enjoy all the things that make ATV racing so much fun . is set up perfectly for quads . SORRA Rd. 7 – Wilseyville Halloween/Potluck fun! We are having a POT LUCK dinner in Wilseyville Saturday night! The whole group together, everyone pitch in and eat. We are also trying for Halloween activities for the kids. More info to come later. Read moreSORRA Rd. 7 – Wilseyville Halloween/Potluck fun! Don’t forget that you can pre-order event t-shirts for $10. Just go to the online race registration page. Rnd 8 Flyer and info below. Gifted Productions has been hard at work, organizing more sessions (including a possible quad race at Hangtown – more details later as they become available), getting riders’ some track time in the Nor-Cal area as well as filming it and editing it. The latest vid is a nod to the ladies in the area who put in the laps too. No fist-pump-to-near-death here. Just some solid riders burning laps. Check it out. Interview with the enterprising Kelly Roberts. Kelly aboard the freshly completed bike. You spent a lot of time crafting a beautiful 450. Tell us a little bit about the build, and how the transition from the 250 to the 450 has been for you. Yeah we started the build last November and it’s been an ongoing process to the beginning of round 1 at Woodland. We wanted to have the top of the line Trx450 that we could possible build and it took a while to get all the parts rounded up and put on, but we managed to do it before the 2013 season and with the help of my parents. The transition wasn’t as bad as I had planned it. I figured it was going to be bad considering I didn’t toss a leg over a bike for almost a year. We started out by going down south to Marysville at MMX to test the bike and coming from a 250 the power was a huge difference but how it felt was surprisingly similar. Overall handling on the 450 was definitely a big change over the 250, so I kind of felt at home on the 450 but my speed and endurance was practically nothing at the time, now that I have more seat time on the 450 my speed is getting better. Read moreInterview with the enterprising Kelly Roberts. 14-year-old Andy Chavez can be seen ripping around on a BMX bike when he’s not racing his Kawasaki locally or at Quadcross in California. Like many riders, Andy grew up in the dunes and made the switch to racing when a local series became available. Currently in the Novice class, Andy is looking to improve and move up. This young rider is a one to watch for in the coming years. How did you get into quads? My dad has always had off road toys. When I was 2 1/2 years old I got my first quad, it was a Suzuki 50. When I was 5 I got KFX 80, When I was 10 I got a YFZ Raptor 250, and when I was 12 I got the bike I have now which is a KFX450R. This is my favorite bike and I don’t plan on switching to a different brand of bike. I love Kawasaki. Me and my family have always gone riding in the sand to Pismo, Sand Mountain and Glamis. This is how I learned to ride. I always wanted to race but couldn’t find a series in my area that we could race in , until now, and I’m have a great time. I love racing. SUMMERTIME SUMMER TIME and the living is EASY!!! Family time and riders of all types! I am Coolarrow I bleed YamI Blue thru and true! A Proud father of two boys, we love quaddin and everything about it! I started racing on the later part of my hill but still im killin it. I am the owner of Gifted Productions. Im Hella NorCal! Click to visit the SORRA website. The race on weekend of the 28-30 has some changes. Due to some issues with the owner being unable to get required permits , we cannot race at Sapiago Springs resort. However we WILL be racing at GRASS VALLEY CA . This was my personal favorite course last year and its a TON of fun. Read moreSORRA round change information! Gifted Productions gallery – SORRA, MMA, and more! Louie at Gifted Productions has been extremely busy filming riders. Check out the GP gallery below for the races from the season opener of the Modoc Motorsports Association, the SORRA round of XC and MX at Honey Lake and more edits. Gifted Productions does custom videos for you, your rider, your business, your event, and more and they have been extremely gracious with their time to support ATV racing, so be sure to give them a like, watch a few videos, tell your friends, and if you can, get a custom video of yourself! Read moreGifted Productions gallery – SORRA, MMA, and more!